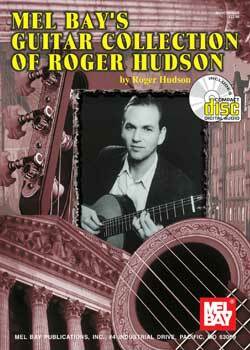 Guitar Collection of Roger Hudson PDF + Mp3 CD download. Presents a collection of 12 short, descriptive pieces with recurring themes and sections to be performed as suites. This edition offers a variety of music, embracing American song and dance forms while addressing the refinement derived from European art music. Hudson draws upon the traditions of guitarist/composers such as Sor, Guiliani, Tarrega and Brouwer to create original music that is appreciated by guitarists and audiences alike. Written in standard notation and tablature in separate segments. Recommended for the intermediate to advanced guitarist. Download Guitar Collection of Roger Hudson PDF free and other books from our site. Only high quality PDF scans. Please write a review, it's important for our community.